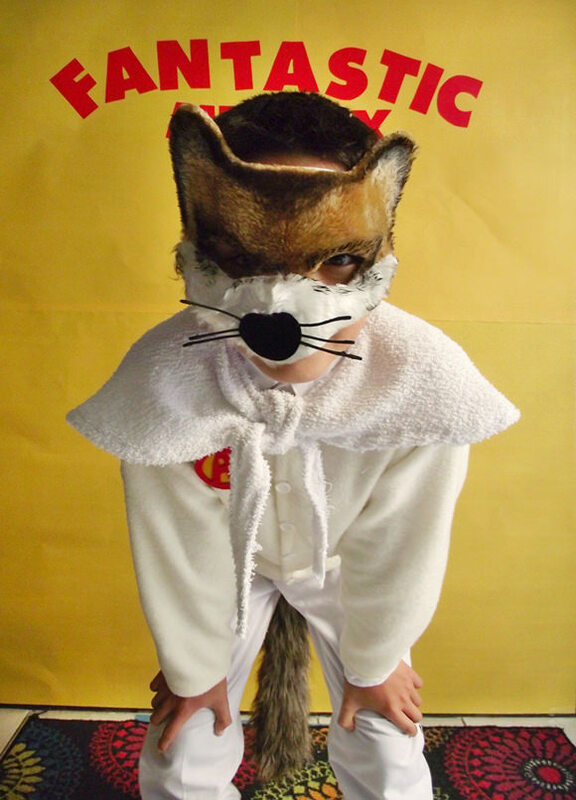 When The Fantastic Mr. Fox hit the big screen, people instantly fell in love with Ash, Mr. and Mrs. Fox’s son. True to Wes Anderson characteristic whimsical style, he’s dressed to impress. And it just so happens Ash’s getup makes a great costume for kids ages 8 to 10 (the pattern can be modified for other sizes). 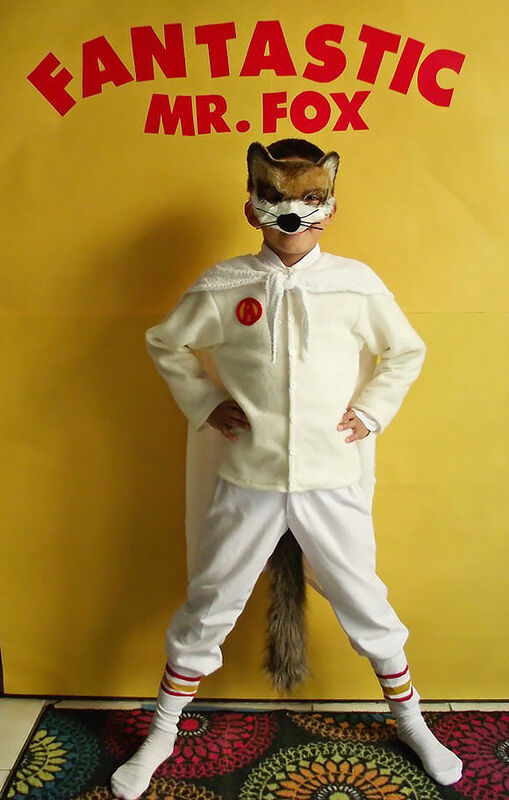 Here’s how you can fashion your own cape, mask—even the striped-tube socks—for your own lovable trick or treater. 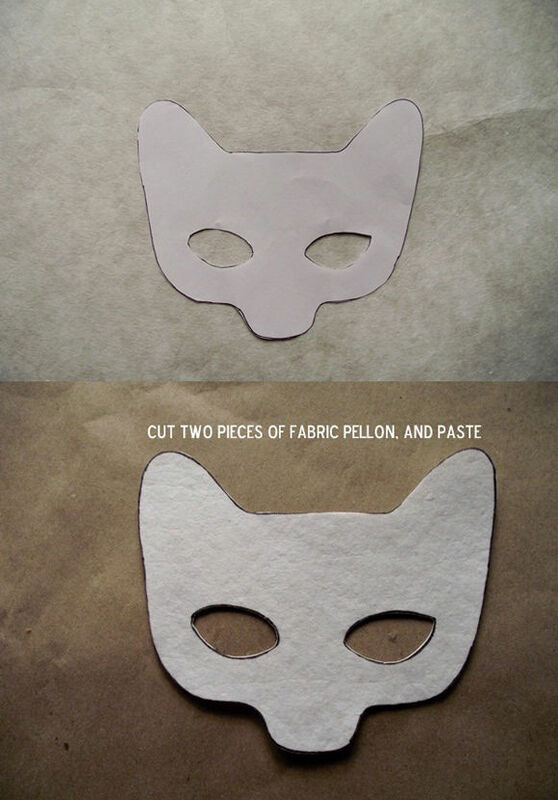 Print the the mask template, trace, cut, and copy onto the Pellon fabric. 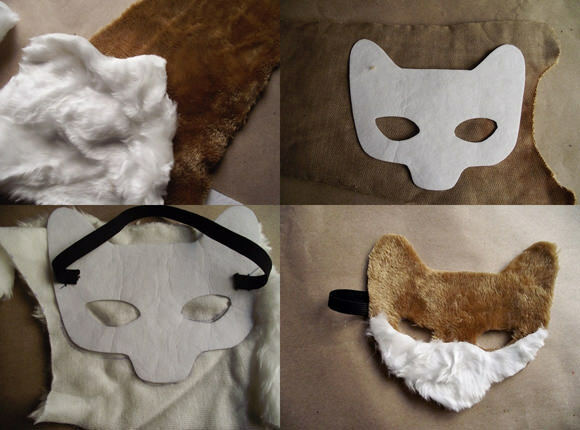 To make the mask firm, cut out two identical pieces and paste on top of each other. 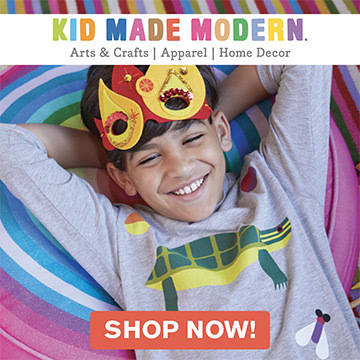 Measure the back of your child’s head and cut the elastic the appropriate length. Then sew the elastic onto the mask. 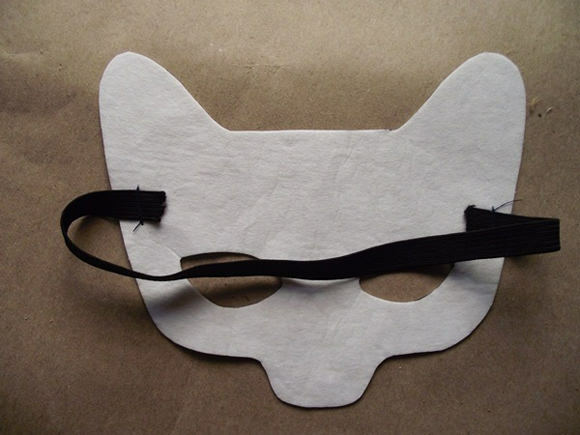 Trace the outline of the mask onto the plush brown fabric and transfer the area below the eyes onto the white plush fabric. Cut the plush fabric and paste onto the Pellon. 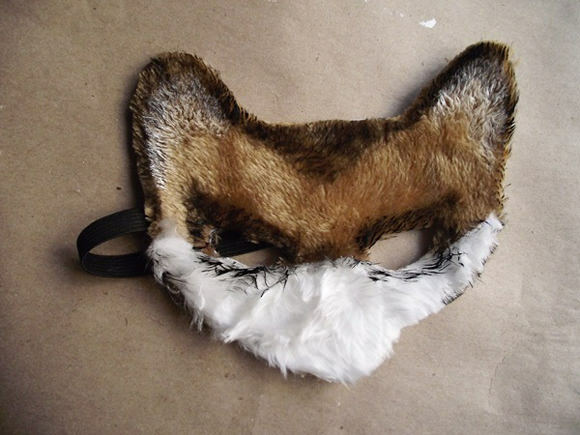 Paint along the outline of the head and eyes with the black acrylic paint and add touches of white acrylic paint inside the ears. 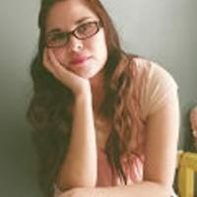 To make the fox whiskers, paint the plastic branch from artificial flowers black. After it dries, glue it above a nose cut from black velvet. Ash wears socks with two red stripes and one mustard, which are hard to find, so I painted a pair of white socks using fabric paint. 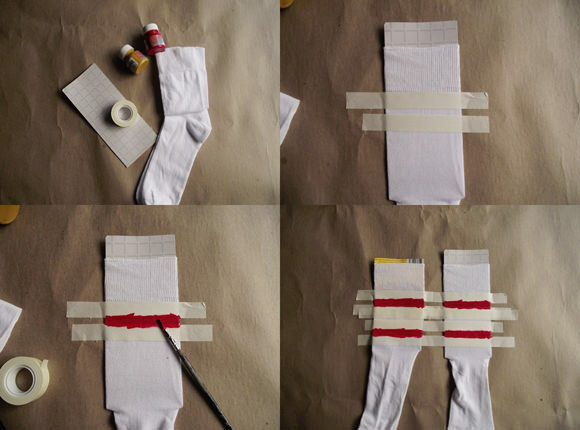 Here’s how: Place a piece of cardboard inside each sock. Tape over each sock to make each of the stripes. Paint one side first with a brush and let dry. Then paint the other side. It’s likely the paint will stick to the cardboard, but don’t worry—it’s easy to peel it off. 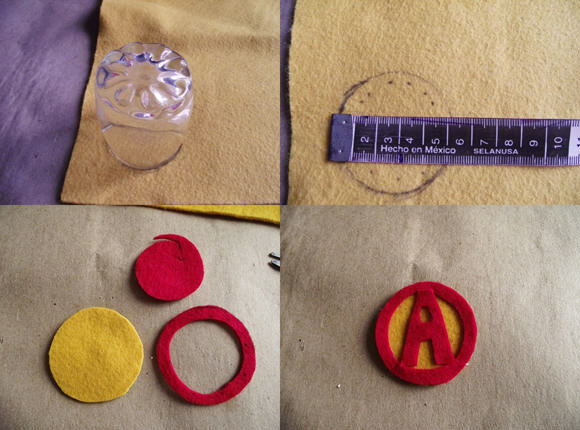 To make the logo, use a small glass to make a circle with a diameter of 5 cm on the mustard felt. Then make a red circle of the same size and cut out the center. Cut out a letter A and glue all the pieces together. Glue the logo onto the sweater. Now let’s make the cape. I made a little drawing to show how to draw the dimensions. 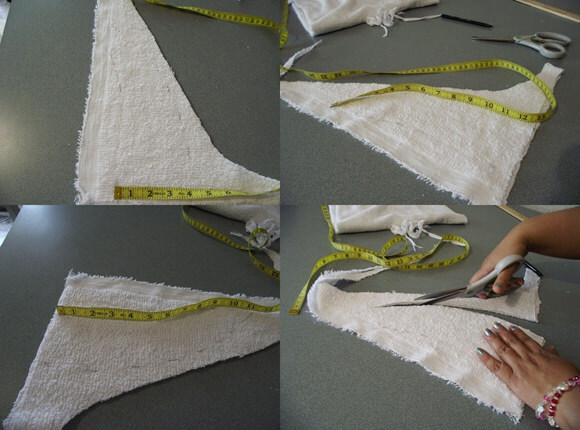 Fold a piece of white terry cloth that measures 80 cm wide by 90 cm in half. Draw a rectangle that is 40 cm wide by 90 cm in height. 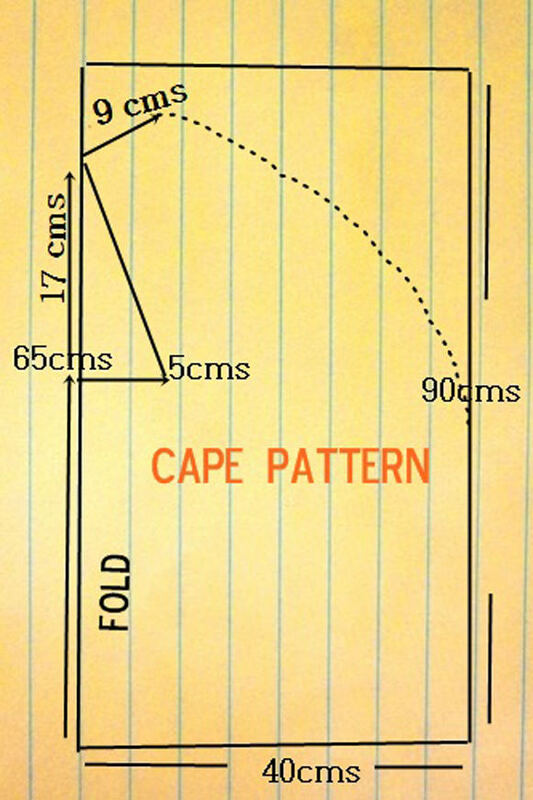 Measure 65 cm from the bottom on the folded side of the fabric. Measured up from that point 17 cm more. Go back down to the 65 cm mark and measure 5 cm inward. Draw a line from the 5 cm mark to the 17 cm mark. Add 9 cm more as shown in my diagram. Then draw an approximately 90 cm curve to the other side. Add a 1-cm seam allowance, pin, and cut as shown. 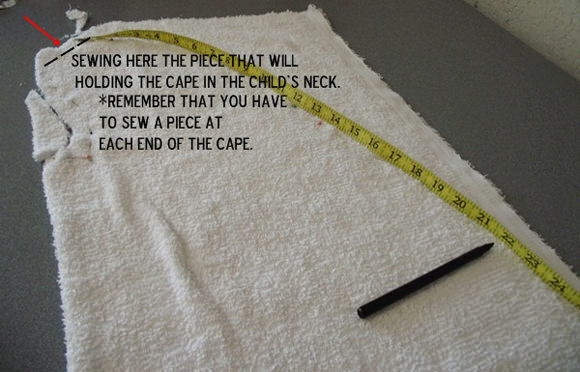 Now we’ll make two pieces to hold the cape around the neck of the child. 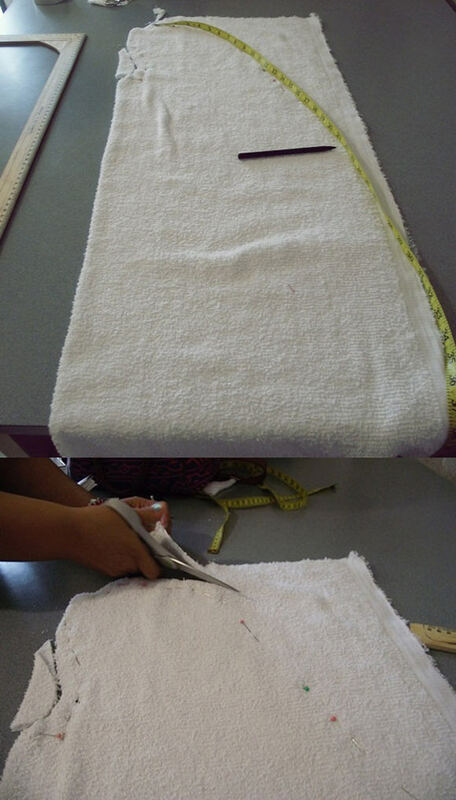 The photo above shows how to cut the pieces from the leftover scraps. Each of the pieces will be sewn to the 9-cm wide strip we left on the cape in the previous step. Hem the edges of the cape. That’s it. 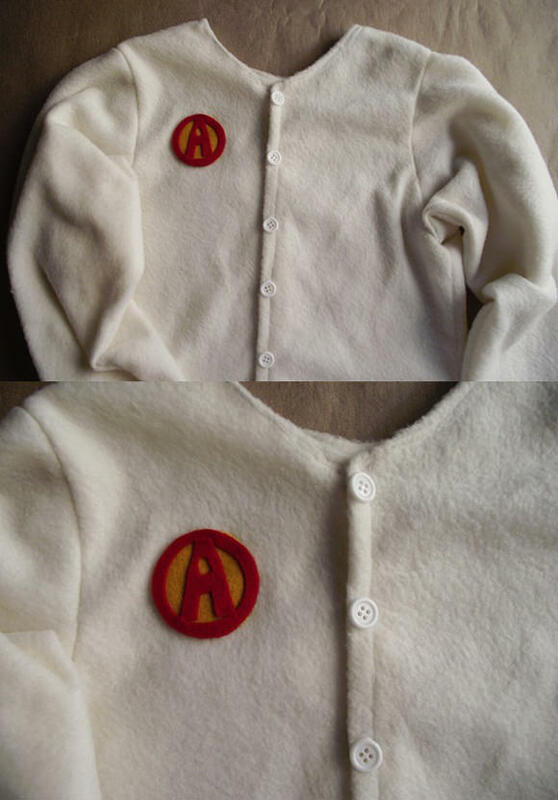 Now you have an authentic Ash costume that even Wes Anderson himself would appreciate! Happy trick-or-treating!